FLASHBACK FRIDAYS: WEEK 33 (Hope In Front Of Me by Danny Gokey)- In the direst of situations, is there really hope? What’s the point about New Year’s resolutions? Hands up who loved 2018? Like really loved it? Like ‘everything I set out to do, I did; and everyone I set out to talk to and be friends with, I accomplished that; and every movie/TV show I wanted to see, I saw’? Or how about ‘2018 was the best year ever, I want to relive this past year all over again, exactly how it was?’ All of us? None of us? Each one of us has a different definition of what a ‘successful year’ entails, and according to you, 2018 might have been a breakthrough year. You may have had the best year ever: you might have had a promotion, gotten married, had kids, moved out of home, or maybe finally got around to having that catch up with that friend you’ve been planning to for the past couple of years, and you hit it off again like no time had passed. Or you may have had worst year ever: you could have just split from your spouse, or maybe found out about a terminal illness in a family member or friend or even yourself, or maybe you were betrayed by someone close to you. Whatever the reason for how you are feeling at the end of 2018 and coming into 2019, there is one truth that is true across the board, and there is one thing that we can hold onto for the next 365 days at least. And that is that Jesus is with us. No matter what. In the highs and in the lows. It may not seem like it right now, but He is. To tell you the truth, I’ve probably lost count at how many times I’ve said in blog format or even within reviews to you guys that Jesus is for us, is with us and will never leave us, even if we deliberately disobey him like Jonah, or find ourselves in the pit from no fault of our own like Job. Maybe in the future I should link some of these blogs where I have outlined this topic of God being with us in more detail, to this blog (but in truth, right now I’m tired, and a tad lazy… lol! ); but the fact does still remain that sometimes things happen in our lives that are beyond our control. Sickness, debts piling up, whatever it is; sometimes you have a very bad year and that’s that. Sometimes whatever you do, nothing eventuates as you hoped, and nothing turns out right. For no apparent reason at all. But that doesn’t mean you should give up. That doesn’t mean you shouldn’t feel hopeful. That doesn’t mean you should stop praying. That doesn’t mean you should stop loving or trusting or whatever it is that you actively do in your daily life that makes it a better place than it was before. You shouldn’t stop caring, and you shouldn’t stop living life, because of one bad day, or even one bad year. Some of you may argue and disagree with me, and that’s ok and valid. You may point out that a person like me, who writes blogs and reviews every few days, and always in these posts without fail finds the bright side and does a ‘mini-sermon’; doesn’t know what it is like to feel…whatever it is that you’re feeling. Me living in Australia typing on a laptop right now sitting at home with the sun baking down on my face, possibly (no, definitely) has no idea about the person struggling in Africa living in a mud house in the rain with no clothes, and seemingly no hope for the future. You probably are right about that. Do I even have any right telling all of you guys reading about our hope for the future in general? It is indeed true, that my upbringing in a western society in Australia has probably shaped my viewpoint to the extent that it probably is vastly different to those living in ‘developing countries’; but my opinion, is that just because I may be more educated and maybe unaware of the real issues of people really living from day to day, doesn’t mean everyone should dismiss what I say. Sure, what I say comes from my line of thinking, which is somewhat based on where I live and how I’ve been brought up; but my core values come from Jesus- the One whom we can truly rely on, and the One whom can provide endless hope and a security for our future. I don’t have the same experiences as you, so I’m not qualified to say anything; but I do know Jesus, and I know that He holds the future. I know that He is sovereign. I know that He is good. I know that He is holy and just and true and kind and every single positive attribute you could possibly think of (and then some more!). You may not feel it now, but He is here with us. Even in the direst of situations. In the middle of last year, I wrote about how I and my brother, father and mother were in the midst of suffering that was unimaginable (at least to us) that would change the course of how we viewed that year. And if you want to read that blog, you can right here! But for those who are in a rush and a hurry and who can’t take the time to extensively read that blog I just embedded; last June I wrote about how Mum broke her foot and had to undergo surgery. It was a long way back to normal (but Mum has conceded that she will never be fully normal with the way her foot has healed, or still has yet to heal in some respects…), and I relayed my initial questions of why suffering occurs to good people to singer/songwriter Steven Curtis Chapman’s ordeal at how his son ran over his daughter when he was driving. A devastating death that none of us could possibly comprehend, there’s nothing to say to comfort anyone going through such a situation- and it was Steven’s faith that really got him through. But throughout me writing the blog back in June and really voicing my questions on paper to God, I came to a better view of who God is through the example of how Steven never wavered in his faith when the world crumbled around him. And that got me thinking that sometimes bad things just happen, because of sin in the world, but sometimes not because of any one individual at that moment. And it’s in those times where God comforts us. We may not know the reason, but in time, God will build us up stronger than before. He will strengthen our character and our faith and that may not be enough for you right now. But that’s ok. 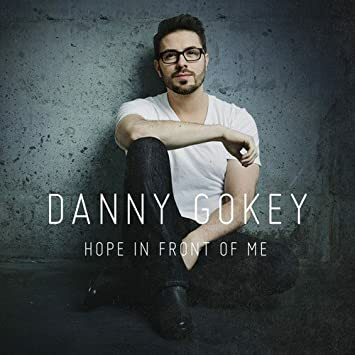 Yesterday I was listening to Danny Gokey’s song “Haven’t Seen It Yet”, with the purposes of reviewing the song (simply because it’s a catchy song, and an encouraging song… and Danny’s new album release date is TBA, which could be in the middle or end of this year!). In fact, by the time this blog is posted, my review of Danny’s single would be already online, so if you want to read my in-depth review of the song (which speaks about Jesus being with us and working things for our good in His timing! ), you can read it here. But while this song speaks about the very topic I’m delving into right now, about that fact that a bad day or a good day, or a bad year or a good year shouldn’t define how you view life in general, or how you approach the upcoming year ahead; I started to dwell upon Danny’s past. Because as they say, there’s no such thing as coincidence, and I reckon there was a reason I was reviewing Danny’s song around the same time I’m talking about New Year’s resolutions and whether our year has been ‘great’ or not. Perhaps I’m reading too much into it, but when I found out that Danny has suffered adversity probably more than most of us have living in the western world (his first wife died just before he auditioned for American Idol in 2008! ), and it hasn’t brought him down not even one iota; I took notice. See Danny’s album Hope In Front Of Me is one of my favourite albums ever for simply its sunniness and its ‘always-looking-on-the-bright-side’ nature despite tackling harrowing and confronting issues; and as I try to finish up what I reckon is a deep and insightful blog into the way we each analyse our year and determine by which standard it is good and how we go about actively planning for next year, let me just say that on the songs “Hope In Front Of Me” and “Tell Your Heart To Beat Again” especially, possible Danny’s two most famous songs- this is reason enough for Hope In Front Of Me to be the FIRST album you listen to in 2019, and then have it on repeat. No, not NATIVE TONGUE from Switchfoot (which is brilliant also! ), and no, not the upcoming worship album Victory from Bethel Music- but this one, from way back in 2014. Don’t believe me? Well you can read our review of Hope In Front Of Me in more detail, but let me just say that Danny’s faith is really in action and on display here, and despite him having a few bad years, that hasn’t stopped him from still stepping out into what God has for him. This year for me has been challenging. It has been confronting, exhaustive, celebratory, frustrating, mundane, tiring, eventful- some at different times but some at the same time. There are things that I wanted to achieve but for whatever reason I didn’t- I envisioned having a girlfriend by the end of last year, and also having excelled more in my musical endeavours; but despite those hiccups along the way, I am not bitter. I am not holding grudges, and I’m not believing that the world is against me. In fact, I firmly believe that I am the person that I am today because of those experiences, or maybe lack of experiences. God doesn’t cause everything to happen, but I do believe He uses everything for His glory and our good. And while free will v pre-destination is something that I do want to actively tackle in a future blog this year; I just want to say that whatever you’re going through, let Steven’s experience and Danny’s experience, and my Mum’s experience all inspire you to keep going. You might be going through a lot that you can’t see the light at the end of the tunnel. But it is there. And Jesus is with you, right by your side, and He can guide you out of the fire and the flames if you let Him. There is hope in front of us, and there is a light outside of the sadness. I would not go so far as to actively make unrealistic New Year’s resolutions (I reckon those are a tad pointless!) but I do recommend all of us writing down our goals instead, and letting God guide the way to those goals in His timing. How has the past year been for you generally? You don’t have to be specific, but remember that no matter how you left 2018, 2019 is indeed a new year and a chance to start again. Sometimes you literally need to start again, and that’s ok; and sometimes you just need to refocus on the more important things in life. But wherever you’re at, one thing is for certain. 365 days is a long time. And if God is by your side (and He is! ), anything is possible this year. If you put your mind to it, and put God into it, you can accomplish anything. Should that make us all feel excited and quietly confident? This is our year, am I right?